This article contains steps to install xPortal3000 with skip database migration. The installer will initiated new database accordingly. › Make sure the computer meets the requirements stated in System Requirement for xPortal3000. › Refer to the attached xPortal3000 Brochure at the end of this article for more details. › Make sure all software's Pre-Requisite has been installed. 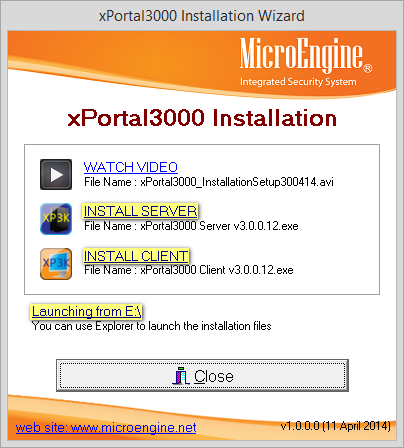 › Run the xPortal3000 installation CD to start the Server and Client installation. › See Installation Setup Video for guide. xPortal3000 USB Dongle (Required for Standalone/ Full Edition). Microsoft .NET Framework 3.5 (See AA-00275). Run the xPortal3000 installation CD. The launcher will automatically pop up when the CD is detected. » If the launcher is not shows up, you may open the CD from the Explorer. Click INSTALL SERVER to start install the server. Follow the wizard's instructions accordingly. Click INSTALL CLIENT to start install the client. Open the Explorer to view the xPortal3000 user manual. Click the Launching from CD drive link provided. Please refer to the file named xPortal3000 User Manual.pdf for a complete installation steps. » If you have problem to open the file, please download the same file from the attached file at the end of this article. Perform the installation according to the instructions accordingly. The only difference between fresh installation with this installation is that during the Database Settings Configuration, you will be prompted to select the database which are existed from your PC. » You may notice that the database listed may be different as it depends on the database found from your PC. You should select Skip Migration option and the new database will be initialized. After successfully installed the Server and Client software, run the Service from the xPortal3000 Server Configuration Manager and you may login to the Client software afterwards. Watch this video guide for full xPortal3000 Installation Setup with Skip Database Migration. 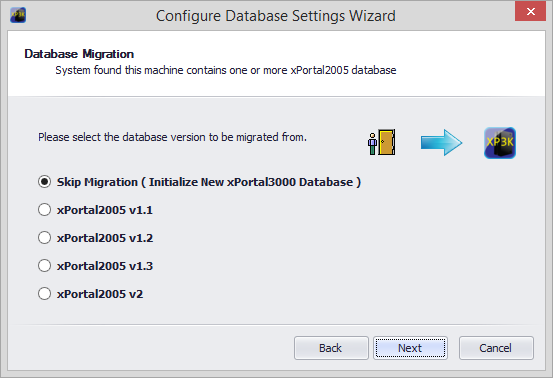 Summary: This article contains steps to install xPortal3000 with skip database migration. The installer will initiated new database accordingly. How to install Microsoft .NET Framework 3.5?